Measurements: 10mm long x 8mm wide X 4mm high. Characteristics: The back is flat and the front comes to a point in the center. Additional Information: The back has gold foil. Always love the vintage pieces! Great customer service. GORGEOUS!!! 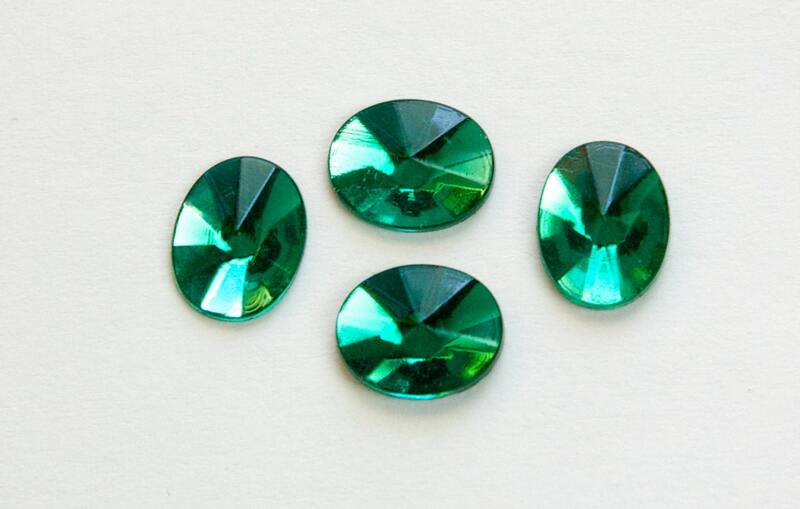 Very high quality & clear - Awesome color emerald!! !